"...What is truth, what is real, who can you believe?" Jemima Wilkinson House c. 1940s. A once-devout disciple returns to keep vigil with the corpse of the prophet he once betrayed. But he’s confronted by the charlatan’s most zealous supporter, who uses the wayward follower’s own transgressions to undermine his search for the truth. What does it cost the soul to perpetuate a lie if it comforts the faithful? 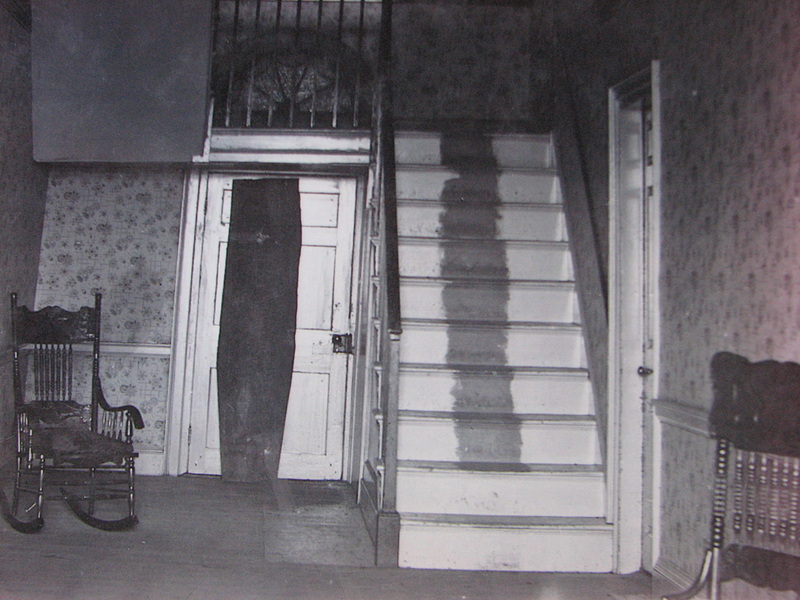 Interior of the home showing the cherry wood bier on which the body of The Publick Universal Friend was laid out before burial, Jerusalem, New York, c. 1940s. DOWNLOAD this play from the New Play Exchange.